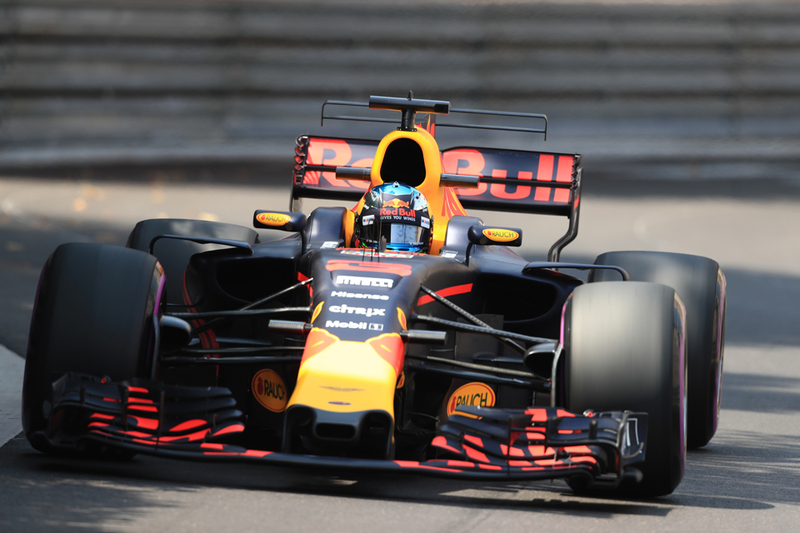 Daniel Ricciardo won today's Azerbaijan Grand Prix. He started tenth after a qualifying crash, and worse made a stop on lap six to clear debris from his brake ducts, leaving him down in 19th. 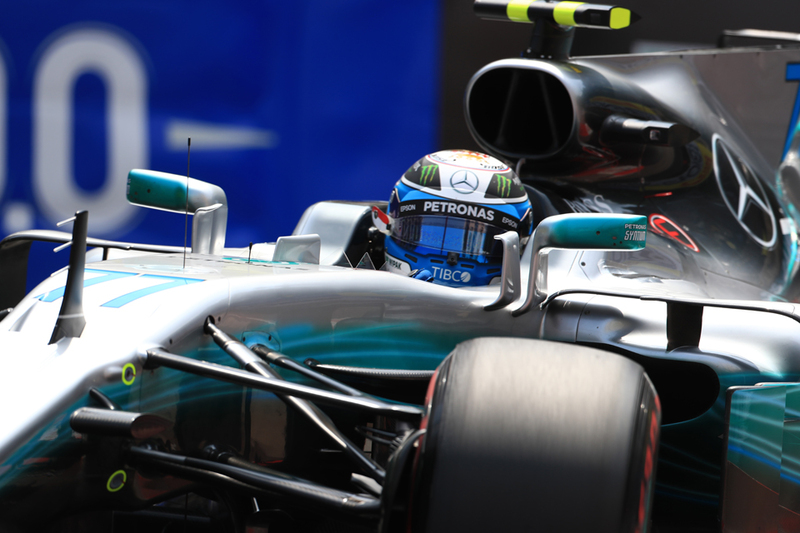 Valtteri Bottas finished second in today's Azerbaijan Grand Prix. And in case you think that bit sounds halfway normal then consider that the Finn lost a lap at the start of this one, after a second turn collision with Kimi Raikkonen. And that he only got his second place literally on the finish line, by a tenth of a second. F1 imitating the end of the Derby. 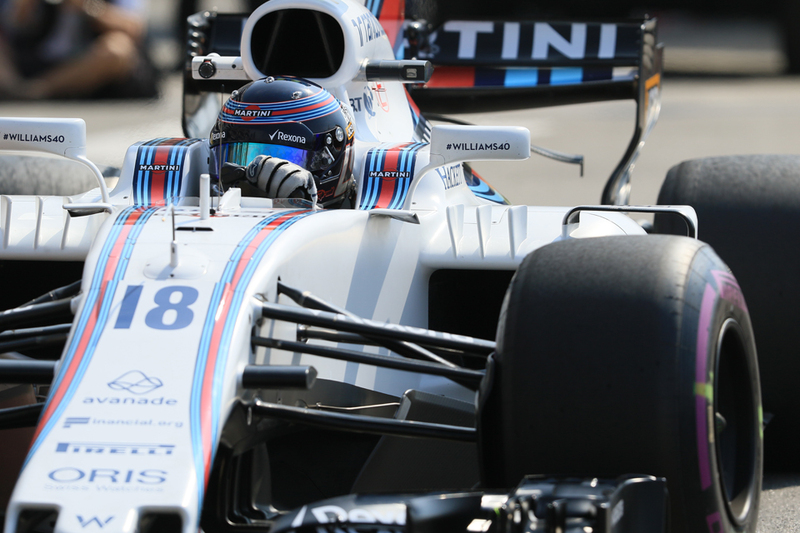 Lance Stroll finished third in today's Azerbaijan Grand Prix. He started eighth, and up until two weeks ago was considered an F1 pariah. Yet possibly this weekend he made fewer mistakes than anyone. 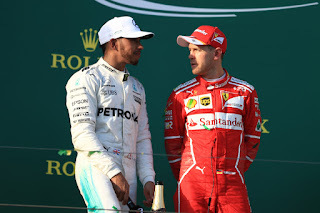 Only then did we have the season's chief suspects Sebastian Vettel and Lewis Hamilton. Yes, it underlines what a unlikely race the Azerbaijan Grand Prix was. Sometimes you should judge a book by its cover. "This is what we expected a year ago", beamed Ricciardo afterwards in the podium anteroom. Indeed - in 2016 we for the first time rocked up to the claustrophobic Baku street track expecting carnage but got nothing. This time we got all of it. Unpicking how we got there is quite a job. The opening turns were a portent - the Ferraris nearly collided at turn one, then Raikkonen and Bottas did collide at turn two, as Kimi attacked the oddly slow Mercedes and appeared to be going clean around the outside, only for Bottas to clumsily bump over a kerb and into the Ferrari. Kimi kept going but in fifth; Bottas as outlined dropped a lap after a lengthy stop for repairs including a new front wing. Things were mainly sensible for the next 12 laps, and for poleman Lewis it looked easy at the front, quickly building and then holding a gap to Seb next up of just over 3.5 seconds. We lost a racy looking Max Verstappen however with yet another case of technical maladies (an engine failure this time). But it then kicked off again, from the unlikely source of Daniil Kvyat's inconveniently parked Toro Rosso bringing out a safety car. It was a lengthy moratorium as the marshals struggled to clear the Faenza machine, and many - not least Lewis - complained about the safety car's lack of pelt. Significantly, though lost on most at the time, Bottas at this point got his lap back while Ricciardo vaulted several places by not having to pit when virtually all others did. The eventual first attempt at a restart was aborted quickly as more debris appeared. Again perhaps significantly, Lewis was warned that when all had been released he'd got close to the safety car ahead. Perhaps minded of all this he was tardy a few corners before the safety car was due in next time. Seb in fact tapped him in the gearbox having been caught unawares, and pulled alongside to remonstrate in that way of his. It wasn't all that clear if Lewis had done anything amiss, let alone deliberately (even Seb afterwards scratched the latter theory). The leader has the right to control the pace and as noted Lewis may have simply been ensuring a gap ahead. An FIA investigation of his telemetry gave him a clean bill of health too, saying there was nothing amiss with his progress. It kicked off more broadly under the subsequent green - Seb was attacked by Felipe Massa, and everyone behind it seemed got involved. 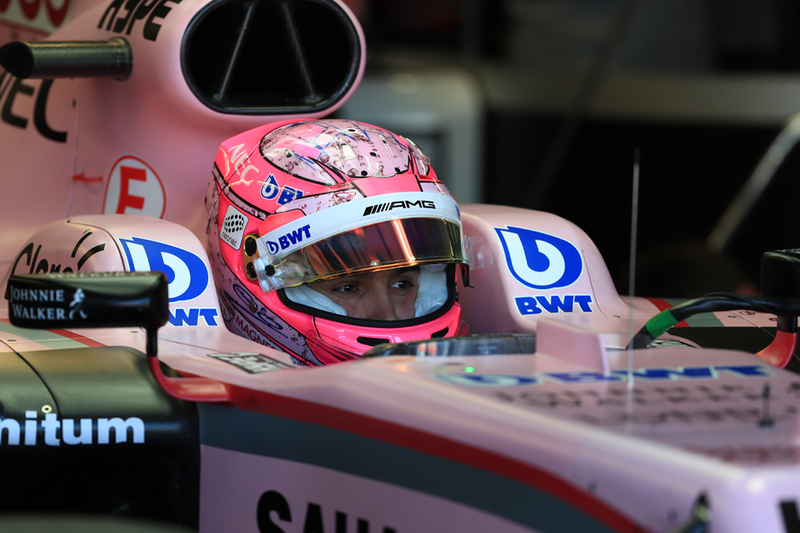 Seb held the Williams off but in the concertina the Force India pair continued its intra-squad soap opera by colliding, and it looked Esteban Ocon's fault as he pinched Sergio Perez into the wall as if the Mexican was going to disappear. It put Checo out of the running and delayed Ocon as he got a puncture. Among it Kimi ran over Force India debris and got a flailing puncture of his own, which after some to and fro put him a lap down (it looked like he was to retire but the subsequent red flag delay gave Ferrari time to make repairs, and the same went for Perez). The German, amazingly, was incredulous at his eventual penalty, a ten second stop-go. But it was the least he deserved. Indeed at the point of writing Seb seems to be struggling to acknowledge that the collision he initiated happened at all, to the point of you worry what level of reality he is operating on. A few pointed out too the case of Daniel Ticktum who got a two year ban for something not dissimilar. But at almost exactly the same moment we found that both of the race's - and season's - chief protagonists were having their days heavily compromised. Lewis's cockpit headrest could be seen loose. After a couple of laps of trying to put it in place himself he was told that the team had "been instructed" to pit him to attach it properly. He re-emerged in P9. They came though the pack in unison, Lewis chased Seb down in the late laps but only just missed out on getting his foe by two tenths. It means, after all that, Seb extends his championship lead by two. The pair didn't look like kissing and making up afterwards either. 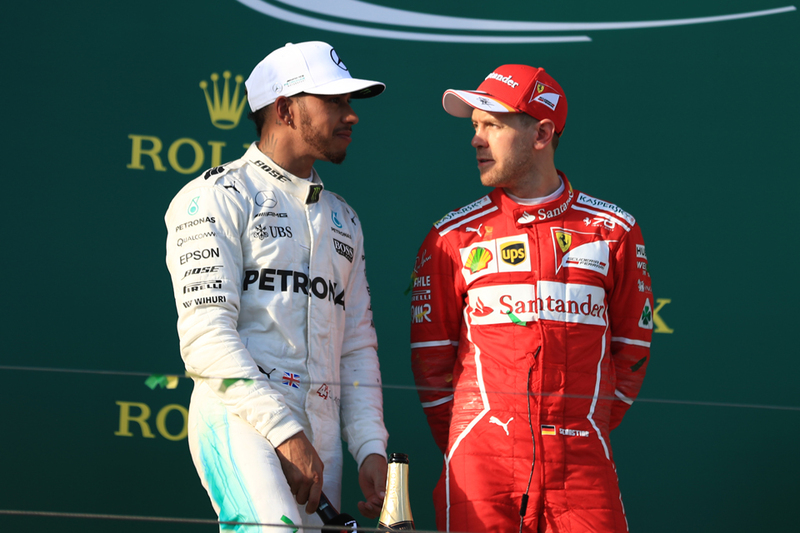 Lewis reckoned Seb "disgraced himself", and spoke of them needing a face-off. Seb we've mentioned. The cynics were correct that their mutual appreciation society this year was like peeling an onion - bound to end in tears. And it was the same Ricciardo that inherited the lead from the pair, helped by him seizing P3 by incredibly piling down the inside to pass two cars at once at the restart after the red flag. From there he ticked the laps off in that way we know he can. It also left Stroll second, in part as his team mate Massa retried with broken suspension just after green flag racing resumed. But Stroll's pace looked good - as others sank as something like reality returned the Canadian pegged the gap to Ricciardo fairly impressively at around five seconds. Bottas, once up to third with 11 laps left, closed on Stroll at a second or more a lap, while the pursuing Vettel and Hamilton were not far behind. It looked like the Finn would run out of laps - just. But literally on the line he got an amazing turn of speed - tow plus DRS - to sweep by for runner up spot. Stroll still got a podium for third, 12 days too old to be the youngest podium finisher ever. "It was a crazy race," said the victorious Ricciardo, summing things up as well as anyone, "we knew the podium was a chance after the restart but then we heard the problems with Lewis and Seb. "Did I think then [after his early stop] I'd win, absolutely not! I would have put all my money on it. "I said yesterday we had to stay out of trouble and it certainly paid off today. Big thanks to Red Bull, nice to get one car home and on the top step. "I'm honestly speechless after the race, on the cool down lap I was just giggling like a little schoolboy." His disbelieving sentiments were echoed by third-placed Stroll. "I am a bit lost for words," said the 18 year old. "Today where we did well was to stay out of trouble, let some other drivers make mistakes and get to the end. "I can't describe how I feel, it is beyond amazing." He also batted away any notion that this was one in the eye for his critics. "I am just happy with myself. It [the criticism] is all just noise in the background, I don't care." Of those not yet mentioned, Ocon recovered from his adventures to claim sixth place, Magnussen got seventh, Carlos Sainz eighth (he recovered from a first corner spin, done in avoidance of team mate Kvyat returning abruptly to the track - Toro Rosso's another team to be experiencing a soap opera right now). 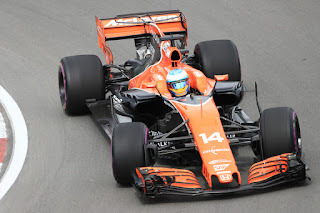 Alonso broke his and McLaren's 2017 points duck by getting ninth, despite having "no battery and no power" in the late laps. He also bemoaned, a little cryptically, that "in normal circumstances" he'd have been in the fight for the win. Pascal Wehrlein completed the scorers. Still we shouldn't get bogged down by the acrimony. It was the sort of race that doesn't come along often - one thinks of France in 1999; Brazil in 2003; Valencia in 2012. They're also the sort to treasure. And in stark contrast to the title protagonists' embittered demeanours it was one of those rare podiums on which all three were clearly delighted. "Hopefully everyone enjoyed that," inquired the victor afterwards. We did Danny. We did.